1. Connor Zary, Kamloops Blazers: Kamloops Blazers forward Connor Zary recorded the first hat trick of his WHL career Wednesday in a 6-1 win against the Victoria Royals. Zary scored the first two goals of the game for the Blazers, adding a power-play goal for the team’s sixth tally of the night. The Saskatoon, Sask. product now has 48 points (16G-32A) in 48 games this season and 77 points (27G-50A) in 116 WHL regular season games. 2. 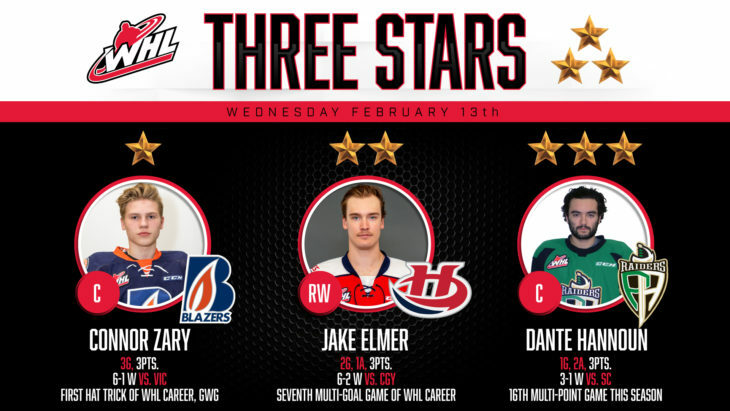 Jake Elmer, Lethbridge Hurricanes: Lethbridge Hurricanes forward Jake Elmer scored twice and added an assist Wednesday as his team rolled to a 6-2 win against the Calgary Hitmen. Elmer scored the first and third goals of the game, adding the lone assist on the team’s fifth goal. The 20-year-old from Calgary, Alta. has 54 points (20G-34A) in 54 games this season and 107 points (49G-58A) in 190 WHL regular season games. 3. 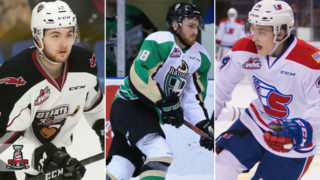 Dante Hannoun, Prince Albert Raiders: Prince Albert Raiders forward Dante Hannoun recorded his 16th multi-point game this season, tallying a goal and two assists in his team’s 3-1 win against the Swift Current Broncos. Hannoun scored the Raiders’ first goal, adding primary assists on the team’s second and third goals. The Delta, B.C. product now has 56 points (26G-30A) in 45 games this season and 268 points (105G-163A) in 303 WHL regular season games. The Brandon Wheat Kings did themselves and the Central Division a favour Wednesday, downing the Edmonton Oil Kings by a 5-2 score at Westoba Place. Wheat Kings captain Stelio Mattheos (Carolina Hurricanes) had a goal and three points while Connor Gutenberg had a goal and an assist in the victory. Oil Kings’ defenceman Connor McDonald opened the scoring with his 17th of the season. In the second, the Oil Kings lost, then restored their one-goal advantage as Ben McCartney and Vince Loschiavo traded goals. The Wheat Kings’ came out for the third as a different team, scoring four unanswered goals in the process. 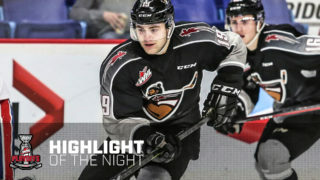 Linden McCorrister opened the scoring 26 seconds into the period while 2019 NHL Draft prospect Luka Burzan tipped in a Braydyn Chizen shot six minutes later to give Brandon their first lead of the night. An insurance goal from Mattheos and an empty-net goal by Gutenberg closed out the win. 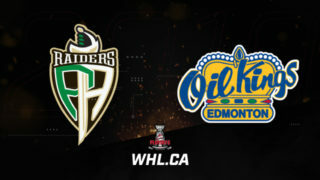 A pair of goals from Parker Kelly (Ottawa Senators) and three points from Dante Hannoun sent the Prince Albert Raiders to their sixth-straight victory Wednesday in a 3-1 decision against the Swift Current Broncos. After a scoreless first, Hannoun opened the scoring with his 26th of the season 2:24 into the middle period. Kelly would pounce for his 26th of the season 189 seconds later to put the Raiders up by two heading to the third. Joona Kiviniemi would answer back for the Broncos in the third, but Kelly’s second of the game put the game out of reach late. Hannoun added primary assists on both of Kelly’s goals while a pair of assists from Spencer Moe and single helpers from captain Brayden Pachal and Sergei Sapego also featured. Boston Bilous stopped 15 of 16 shots in the win while Isaac Poulter stopped 40 shots in the loss. 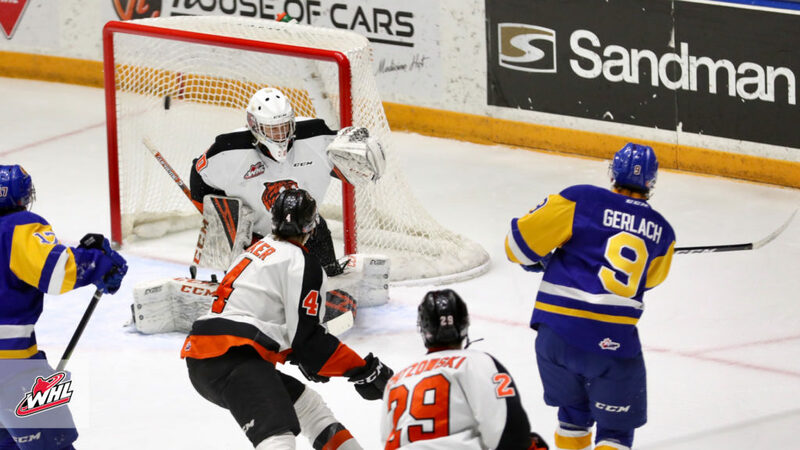 The Saskatoon Blades rolled to their fifth-straight win Wednesday, doubling up the Medicine Hat Tigers at the Canalta Centre by a 6-3 score. 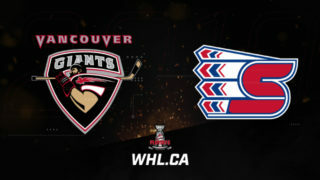 Max Gerlach scored twice in Wednesday’s win while WHL leading defensive scorer Dawson Davidson chipped in three assists. Tigers captain James Hamblin opened the scoring in the first, but Gerlach’s first of the night would keep the game tied after 20 minutes. In the second, Hughes, Gerlach’s second of the night, and Eric Florchuk’s 18th of the season over-powered a single strike from Nick McCarry to give Saskatoon a 4-2 lead after 40 minutes. In the third, goals from Tristen Robins and captain Chase Wouters wrapped up the Blades’ scoring while a power-play goal from Ryan Jevne closed out the contest. Nolan Maier earned the win, making 25 saves on 28 shots. The trio of Hughes, Wouters, and Florchuk each finished with a goal and an assist. 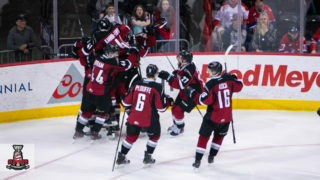 A five-goal first period powered the Lethbridge Hurricanes to a convincing 6-2 win against the Calgary Hitmen Wednesday, making the Central Division race even more interesting with the top three teams separated by two points. Jake Elmer and Jake Leschyshyn (Vegas Golden Knights) opened the scoring in the first. Riley Stotts (Toronto Maple Leafs) responded to cut the deficit to one, but Elmer’s second of the night, captain Jordy Bellerive (Pittsburgh Penguins), and Taylor Ross all scored before the first period had concluded to put the game out of reach. Things settled down after that as Ryder Korczak added to the Hitmen’s total in the second, though Leschyshyn’s second of the night kept the lead at four to end regulation. Carl Tetachuk was on his game, stopping 36 of 38 shots for the victory. Lethbridge, Alta. product Brayden Peters got into the second game of his WHL career Wednesday, stopping 20 of 23 shots in 44:24 of action for the Hitmen. Elmer and Leschyshyn each added an assist to their two-goal games for three-point nights. Ross had a goal and an assist in the win. 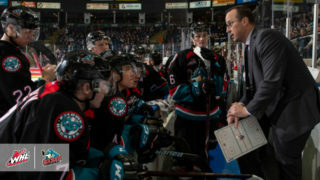 The first hat trick of Connor Zary’s WHL career featured in a six-goal outburst by the Kamloops Blazers Wednesday against the Victoria Royals in a 6-1 decision. Zary struck twice to open the game as part of a four-goal first period, featuring goals from Zane Franklin and Brodi Stuart as well. Phillip Schultz struck back with his 13th of the season in the second, but third-period strikes from captain Jermaine Loewen (Dallas Stars) and Zary’s hat trick goal secured the win. In net, Ferguson shut down the Royals for the majority of the game, stopping 36 of 37 shots. Loewen added a pair of assists for the three-point game while Montana Onyebuchi added two helpers and Franklin added an assist for the multi-point night.